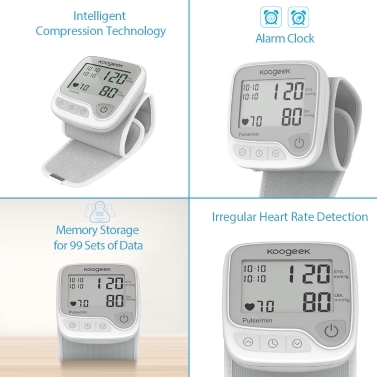 With easy one-press operation, Koogeek Smart Wrist Blood Pressure Monitor enables you to get accurate systolic and diastolic blood pressure readings and heart rate quickly. 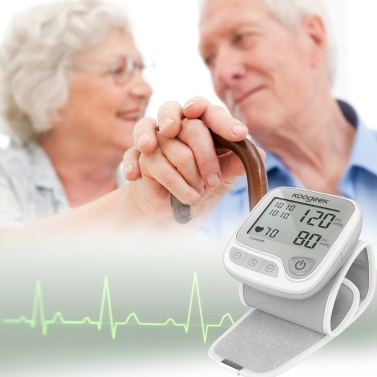 It can store up to 99 sets of data, allowing you to review your blood pressure trends easily. Adopt advanced technology to automatically inflate and deflate at the appropriate level, delivering a personalized, accurate and comfortable measurement. 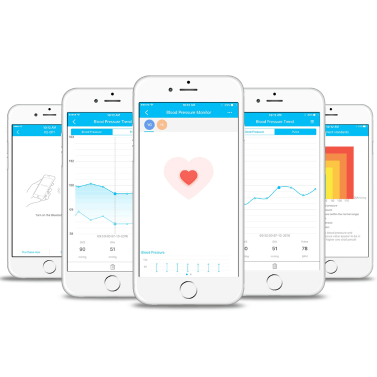 Detect your heart rate while your blood pressure is being measured. If an irregular heart rate is detected, an indicator icon will appear to alert you. You can view the average of your last 3 readings by the push of a button. Designed with large font and voice prompt to display measurement results, providing convenience for all users. 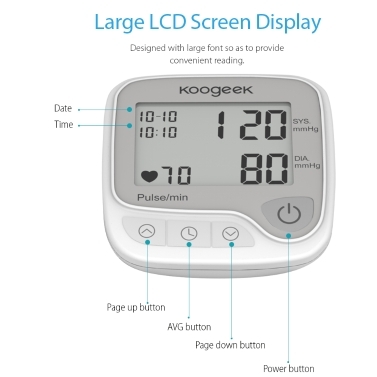 Users can set the alarm clock to remind themselves to measure blood pressure or take medicine on time. 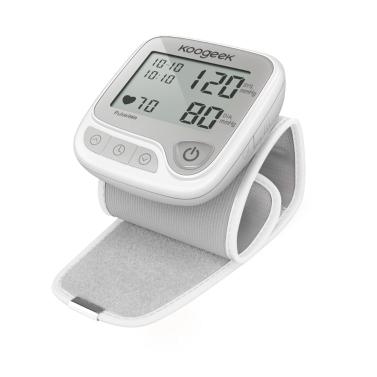 This product can store up to 99 sets of data, providing convenience for you to track the blood pressure cycle. 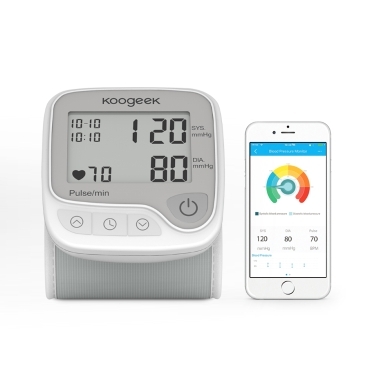 All measurement data can be uploaded to Koogeek app via Bluetooth. 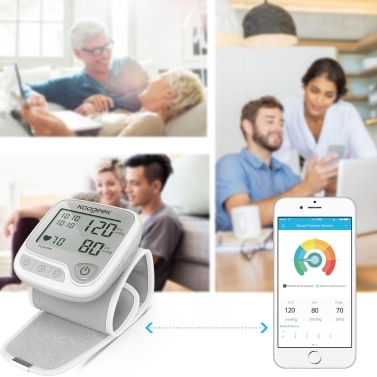 It allows up to 16 users to monitor and track their readings separately in the stored memory and works with both Apple and Android devices. 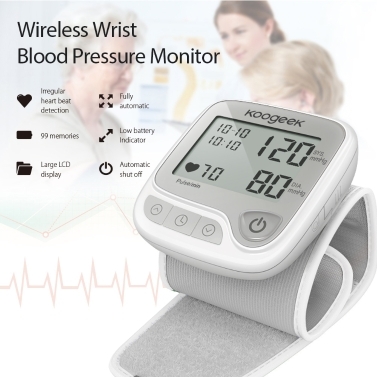 Note: To achieve an accurate blood pressure reading, place the cuff around your left wrist. Keep both the digital display screen and the palm of your left hand facing upward.